FIFA has removed the word corruption from its updated Code of Ethics and inserted a defamation clause which effectively prohibits officials from publicly speaking out against the organization. The word only featured twice in the previous 2012 ethics code, as a header and as a note regarding time limitation, but the controversial move comes at a time when FIFA is desperately trying to repair its image following the widespread corruption scandal. It is likely to be subjected to criticism after numerous FIFA officials were indicted by the United States Department of Justice and banned from any involvement in football for life by the Ethics Committee. 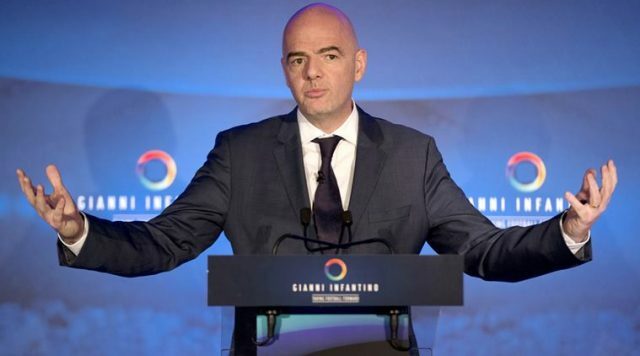 FIFA President Gianni Infantino has continually insisted that the organization under his leadership is a democracy and not a dictatorship, but the decision to give the Ethics Committee the opportunity to ban officials for defamation casts doubt on that assertion. “Persons bound by this code are forbidden from making any public statements of a defamatory nature towards FIFA and/or towards any other person bound by this code in the context of FIFA events,” the ethics code says. The Ethics Committee has not determined exactly what these defamation offenses could involve. Those found guilty can be banned from any football-related activities for up to two years, while officials who have committed repeat serious offences may be suspended for five years. A 10-year statute of limitation has also been introduced in the new ethics code. Under the previous version, there was no time limit on cases being brought by the Ethics Committee. The Adjudicatory Chamber of the Ethics Committee has also seen the amount of time it has to complete cases involving general breaches halved from 10 years to five. insidethegames has contacted FIFA for a response.